In a land where magic is might, Catalia Fisa is the mightiest of them all . 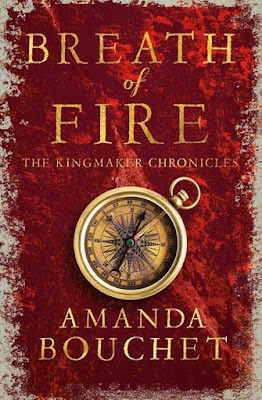 . .
‘Breath of Fire’ is the second book in American author Amanda Bouchet’s fantasy romance trilogy, ‘The Kingmaker Chronicles’ released in 2017. Right, so – going on from my epic re-read of first book ‘A Promise of Fire’, I delved right into the second book that had been sitting on my shelf for a year and a bit. The best way I can describe ‘The Kingmaker Chronicles’ is to say it’s kind of OUTLANDER with Greek Mythology, for fans of Nalini Singh and Thea Harrison. And something Bouchet does very well is continuing the epic journey and launching readers right back into the world with a BANG! … second book ‘Breath of Fire’ tidies up the cliff-hanger left at the end of Book 1 almost immediately in chapter one, and then the rest of the book is in service of the problems/opportunities Cat’s truth brings. 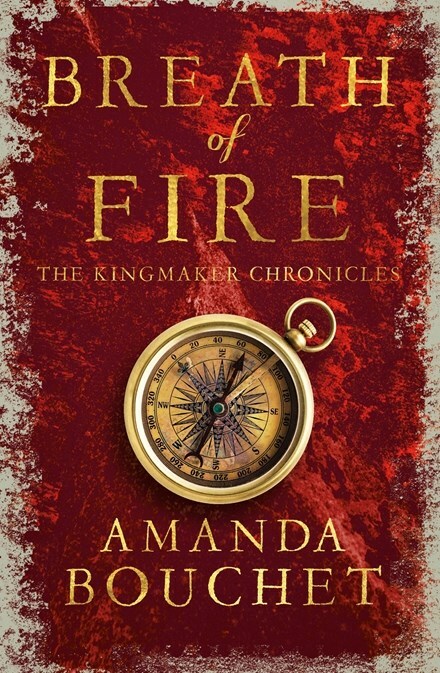 And while the second-half of book 1 ‘A Promise of Fire’ saw Cat settling into kingdom life with Griffin and his family, Bouchet recognises that a big drawcard of book 1 was the camaraderie of Cat with the ‘Beta Team’ trio of soldiers who became her friends – Carver, Kato and Flynn – and the unique heated opportunities that travelling bought for her and Griffin. So pretty quickly in ‘Breath’, Bouchet sets up a new expedition for Cat and the Beta Team (of which she is now a member) to go off on. This is also a salve, because it’s in travelling across lands and encountering mythological monsters and Olympus Gods that Bouchet’s series also harks back to the best of cult classic television ‘Xena: Warrior Princess’ and ‘Hercules: The Legendary Journeys’ … though I will say – Bouchet’s series could have done with a lot more LGBT+ representation, which I constantly thought was coming but never really eventuated. For one, I thought this might have been Carver’s storyline – instead there’s literally *one* throwaway sentence that comes to reveal Griffin’s sister, and crowned Queen, Egeria is in a relationship with a woman. This was overall just a thorn in my side with the series because for one thing, it would have fit in with the universe perfectly and because there are such strong ‘Xena’ ties, it seems almost cruel to dangle that similarity but not the heart that made that show so iconic? Anyway. ‘Breath of Fire’ in a lot of ways, manages to do better than even book one in gifting readers more insight into the secondary characters we’ve come to know and love, in soldiers Flynn, Kato and Carver. These three become so much sharper and more complicated, and readers will start seeing possibilities for spin-offs for how full and lovingly developed they are in here. Cat and Griffin though, remain the stars – and their romance continues to be a new highlight of the fantasy romance genre. To a degree there’s repetition in their storyline (fighting monsters – Cat putting herself in danger, Griffin getting upset and asking her not to do that) but at the same time, it does feel like Cat and their relationship is constantly evolving as she learns to love for the first time in a long time. And they remain hot as anything, which is the other drawcard of the series – the exquisite blazing hot romance. The other highlight of this book too is the increased presence of the Gods and Goddesses of Greek Mythology … Ares, Artemis, Persephone and more make appearances and a truly remarkable new secondary casting. 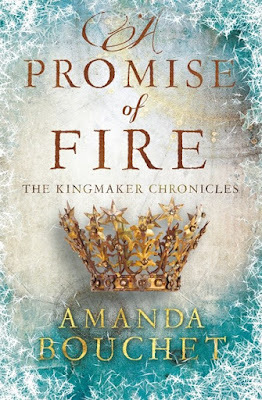 ‘A Promise of Fire’ was the 2016 fantasy romance debut and first book in the ‘Kingmaker Chronicles’ trilogy from American author, Amanda Bouchet. Okay. Full-disclosure: I did actually read this when it came out in 2016 and LOVED it, RAVED about it. 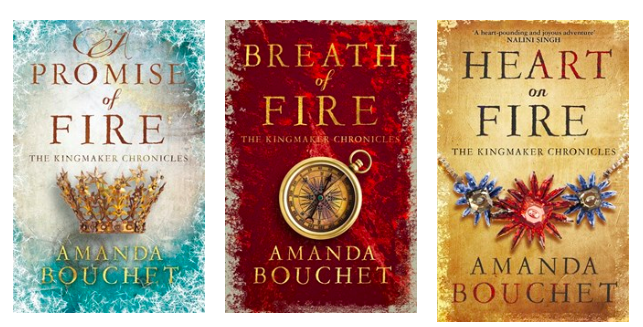 But then book two came and went in 2017, and book three released this year in 2018 and I just didn’t get around to reading them (but I did buy them!). I think some part of me was putting them aside to binge, and/or pull them out when I needed to be out of a reading-slump. So I went back and re-read book one, read book two and three and did just that – BINGED, big time and I am unsurprised to say that my initial assessment still holds true. This trilogy is *amazing* - and if you’re new to fantasy romance or wanting to try it out for the first time, I’d put this at top of your list. ASAP! The ‘Kingmaker Chronicles’ trilogy is – best I can describe it – a cross between the brilliant schlock 90s and early-00s television series ‘Xena: Warrior Princess’ and ‘Hercules: The Legendary Journeys’ meets romance writing by the likes of Nalini Singh and Thea Harrison. It’s pulling on Greek-mythology as we follow a young woman – Cat – who has a magical ability to tell when people are lying, and is captured by a ‘Warlord’ whose family recently united the working class to band against an unfair and unjust society. Griffin sees Cat as an opportunity to play the noble families who now bow down to his family, and ensure loyalty – along with his ‘Beta Team’ band of warriors consisting of his brother Carver, and friends Kato and Flynn, Griffin captures Cat and starts the long journey back to his recently fortified new castle and realm. But Cat has secrets these men can’t know – like the truth of her birth and birthright, and what the Gods have planned for her. And much like ‘Outlander’ eventually does, there builds this indelible trust and connection between Griffin and Cat – and when that switch is flipped, everything changes and the novel becomes a charged and electrifying love story that is H-O-T. Cat and Griffin are up there with some of my all-time favourite romance novel pairings; her fiery temper and his level-head, and their fierce loyalty to each other and those they love. Not to mention their scenes are searing and intense, written to utter perfection by Amanda Bouchet. It’s not wonder when this book came out in 2016 it raced through romance communities like wildfire, and heralded a new ‘must read’ author. It’s mythological, sublime romance. Kate Daniels sees no other choice but to combine forces with the unlikeliest of allies. She knows betrayal is inevitable. She knows she may not survive the coming battle. But she has to try. ‘Magic Triumphs’ is the tenth and last book in Ilona Andrewws’ epic urban fantasy series, ‘Kate Daniels’ that first began back in 2007. Okay. This is it. The end. There may be some SPOILERS ahead so, consider yourself warned. This is the big-bad end to the ‘Kate Daniels’ series and show-down with Kate’s all-powerful, egotistical father. But from ‘Magic Bites’ to now, Kate has slowly been accumulating love, life and family from the loner she once was. There’s so much more she risks losing now, and the stakes (that have been accumulating across 9 books and countless short-stories) are higher than ever. 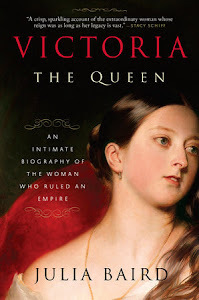 The books opens not with an adrenaline-rush – as most readers would have been coiled for – but with a more sedate pace and establishment of Kate and Curran’s home life. Including, yes – a child, a baby called Conlan who is developing at a rapid pace. 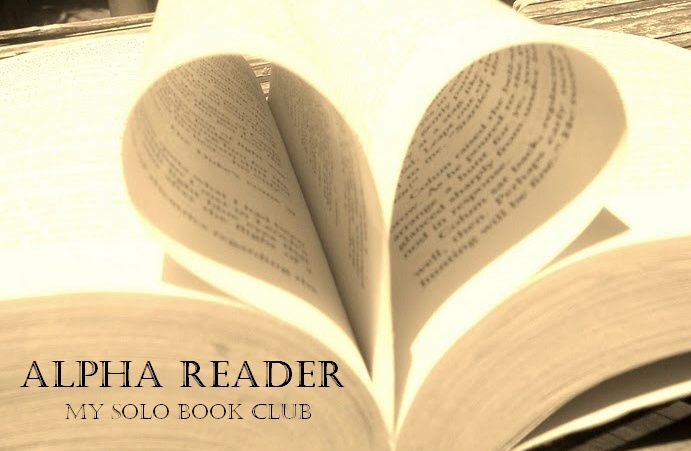 And it’s in this sweeter side that Ilona Andrews remind readers of the true crown they wear in the realms of serial fiction – gifting readers the best example of life after ‘will they or won’t they?’ dramatic romantic tension. Conlan is another jewel in this crown, as possibly one of the best examples of a child-character integrating perfectly into a previously childless core cast. But when the coil snaps – as it always needed to – Ilona Andrews hits the ground running. But it must be said, they owe a lot of the perfect pacing and wrap-up to ‘Buffy the Vampire Slayer’ finale blueprints; particularly season 5 ‘The Gift’ and series finale ‘Chosen’. There was one moment in ‘Magic Triumphs’ that so perfectly harks back to season 5 episode ‘Checkpoint’ and Buffy’s epic power speech to The Watchers' Council (“You're Watchers. Without a Slayer, you're pretty much just watchin' Masterpiece Theater.”) I say this with the utmost respect that I could see these tendrils in Kate’s finale, because truth be told – nobody did season finales and big-bad arc wrap-ups better than ‘Buffy’ and that legacy carries over here to Kate’s grand finish to great effect. I particularly loved that we got to touch-base with all the secondary characters we’ve come to love, and who populated Kate’s life to the point that those stakes became perilously high. A particularly lovely addition to the cast was a character named Yu Fong, who first appeared in Dali & Jim short-story ‘Magic Dreams’ and then later became part of Julie’s scholastic world in ‘An Apple for the Creature’ anthology short-story, ‘Magic Tests’. Yu Fong has long stayed with me and intrigued me, and I was so glad to see him become a player in ‘Magic Triumphs’ … it begs the question then; why establish such an intriguing character most fully in the series finale? Hmmmmm. I would have also loved a Raphael and Andrea (and baby!) scene together, because I loved that couple. Ditto Dali and Jim (though we get a lovely sense of their future, even without the two sharing a scene physically). BUT … I am slightly wounded that a favourite character – teen bouda and bad-boy Ascanio – makes no appearance. He is alive, and well, and alluded to on a confusing number of occasions throughout … but he doesn’t get a single scene and it’s slightly maddening. The only thing that lessens this wound is a niggling suspicion that he has bigger things in store for the future; I do believe a lack of Ascanio and meatier role for Yu Fong were big hints of what’s to come. As to that … I was GLEEFUL over that epilogue. Julie has felt like a storm gathering speed to become a tornado for a while now, and with that send-off cliff-hanger it’s an out and out confirmation from Ilona Andrews that they’re tucking her away for another day. I’ve no doubt that the writing-duo will concentrate on Hugh d'Ambray and his ‘Iron Covenant’ world for a little while (or not – maybe ‘Iron and Magic’ will be much like Andrea’s one-off ‘Gunmetal Magic’?) but I can see them having a little rest after their mad-cap ten-books-in-eleven-years publishing schedule, and any break could also act as time-passing for Julie’s character. 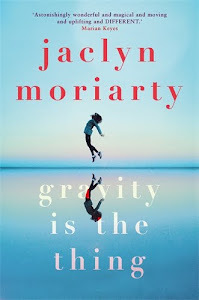 Because – yes – much as I am ready for her to come riding back already, with Erra and a cast populated by Ascanio, Yu Fong, and especial concentration on Derek … Julie does need to mature, and the easiest way to do that is off the page where she can obtain some mystery and secrecy for readers too. 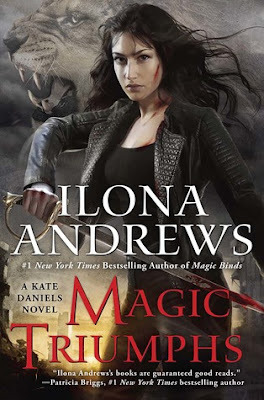 But it’s a testament to Ilona Andrews and the ‘Kate Daniels’ series that ‘Magic Triumphs’ is – wait for it! – SUCH A TRIUMPH that concludes so beautifully, but I’m also already desperate for them to keep carrying this world along. This tenth book walks a majestic tightrope of being both utterly fulfilling as its own entity, while also mouth-watering for the possibilities of Julie and more. I will not begrudge Ilona Andrews a rest. 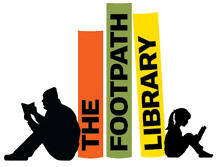 But when you’re an author this good and so much at the top of your game, you’ve got to expect that your readers will be baying for more books. That’s the price you pay when you’re THIS DAMN GOOD – to end a series with such satisfaction, at the same time stoking the fires for more. Brava.